Apple’s stock is once again on a tear. It’s up 48% this year, surging past a $US700 billion valuation. It’s a stunning reversal for the company. In April 2013, Wall Street had given up on Apple. The stock was less than half what it trades for today. People thought the iPhone was done. They thought Apple was doomed. The New York Times was comparing Tim Cook to Steve Ballmer. Today, all that seems preposterous. 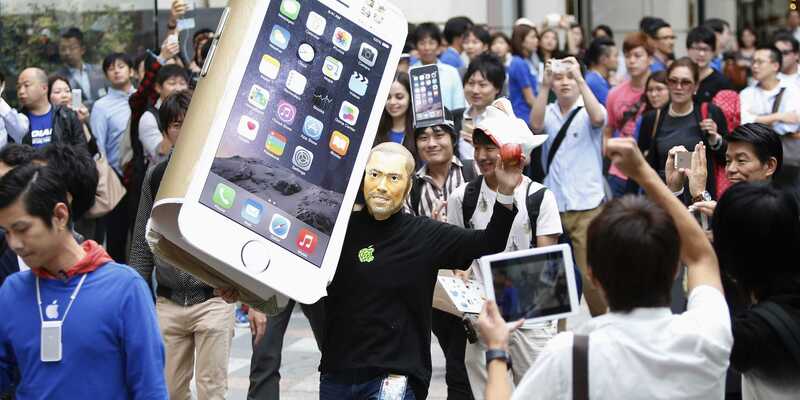 The iPhone 6 is a blockbuster hit. On its most recent earnings call, Apple said it was selling every single iPhone 6 it could make. And Apple can make a lot of iPhones. The most recent projection from Ming-Chi Kuo, an analyst at KGI Securities who has an excellent track record on Apple products, says Apple is going to sell 71.5 million iPhones during the holiday quarter. If, by some miracle, Apple sells that many iPhones, it would be a whopping 40% year-over-year jump. Again, remember that people truly believed the iPhone opportunity was over for Apple. They thought Apple was going to get by only on upgrades from current users. There is, naturally, some fear that this supercycle for the iPhone can last only so long. Eventually Apple will sell as many iPhones as possible, and it will hit a wall. But Apple has proved that the iPhone is strong product that can continue to grow despite expectations for a drop-off. And unlike with the iPhone 5, the most recent product to generate this sort of excitement for Apple, Apple has a few tricks up its sleeve. 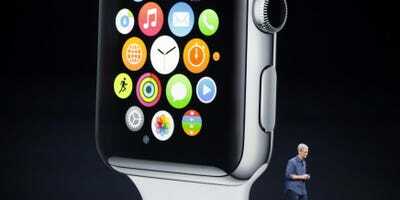 It is planning to release the Apple Watch at the start of next year. Morgan Stanley predicts Apple will sell 30 million units. 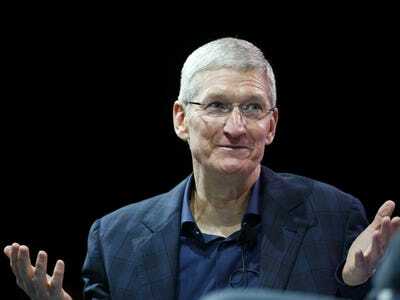 With a conservative $US400 average selling price for each watch sold, that’s $US12 billion in new revenue for Apple. Apple did $US183 billion in sales last year, so that would be about a 7% sales bump from the Apple Watch. The rumour mill is speculating that Apple has a new iPad Pro coming, which could lead to new iPad sales. Though, truthfully, it might eat into Mac sales, so it’s unlikely to result in massive gains for the company. Apple also has Apple Pay, which will lead to some small additional revenue. Even if you think the revenue gains from these new products are minimal, the psychological impact of new products rolling out from Apple is big. It’s easy to see that once again, these are exciting times for Apple. The previous time Apple was rolling, everyone wanted to talk about it becoming a trillion-dollar company. During this run, we’re not hearing a peep. Which is weird. So, if nobody else wants to make the case for Apple going to a trillion, it looks like it’s up to us! Apple has a price-to-earnings (P/E) ratio of ~18. During its previous run higher, the P/E was ~15, which is about in line with the historic average for stocks. So we will work with those two numbers for a valuation argument. We could use another metric like price to sales, but Apple shares have been judged against earnings, not sales. If Apple were to be worth a trillion dollars, given the current number of shares outstanding (5.86 billion), the stock would be trading at about $US170 per share. At $US170 per share and a P/E of 18, Apple’s earnings per share (EPS) would need to be $US9.47, which roughly translates to $US55.5 billion in net income. 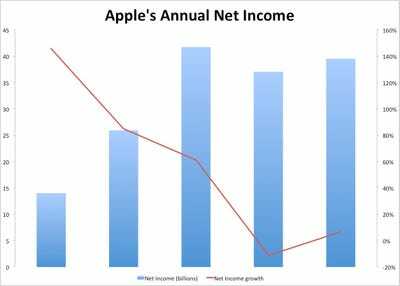 At $US170 per share and a P/E of 15, Apple’s EPS would need to be $US11.40, which translates to $US66.9 billion in net income. In Apple’s 2014 fiscal year, it earned $US6.49 earnings per share, or $US39.5 billion. So, to get to $US55.5 billion, Apple will have to grow earnings by about 40%. To get to $US66.9 billion, Apple will have to grow earnings almost 70%. Is it possible for Apple to grow its earnings that much? Anything is possible! REUTERS/Yuya ShinoCan Apple keep the iPhone hype going for the next five years? But here’s some context: Google’s trailing 12-month revenue is $US67.9 billion. To reach a market cap of $US1 trillion, Apple will need to be earning nearly that amount in profit. The highest ever annual profit was ExxonMobil in 2008, with the oil giant earning ~$US50 billion in inflation-adjusted earnings, according to a Wikipedia page tracking profits. Apple would have to top that by $US5 billion to $US17 billion to become a trillion-dollar company. That is going to be hard. And for Apple to get there, it will be all about the iPhone. After an explosion in earnings growth, Apple’s profit growth has shrunk considerably. In 2014, net income was up 6.6%. In 2013, it was actually down 11%. In 2012, it was up a whopping 61%, marking Apple’s peak year for profits. The company earned $US41.7 billion that year, making it the seventh-most-profitable year in corporate history. This, incidentally, is why P/E is the ratio that matters for Apple. When Apple’s earnings fell, the stock fell. When Apple’s earnings started growing, Apple’s stock started growing. People can grasp for all sorts of convoluted explanations for Apple’s share price swings, but it really looks as if it’s just that simple. What happened for Apple in fiscal 2012 that made it so profitable? 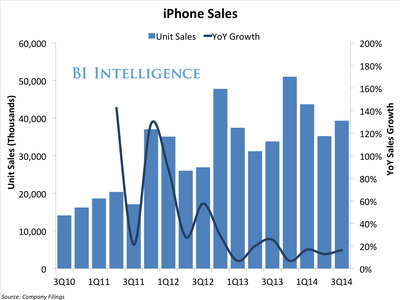 iPhone sales exploded. The iPad was refined and became mainstream, selling in big, profitable volumes. In 2013, iPhone sales slowed, and Apple started selling the iPad Mini, which is less profitable than a big iPad, or an iPhone. 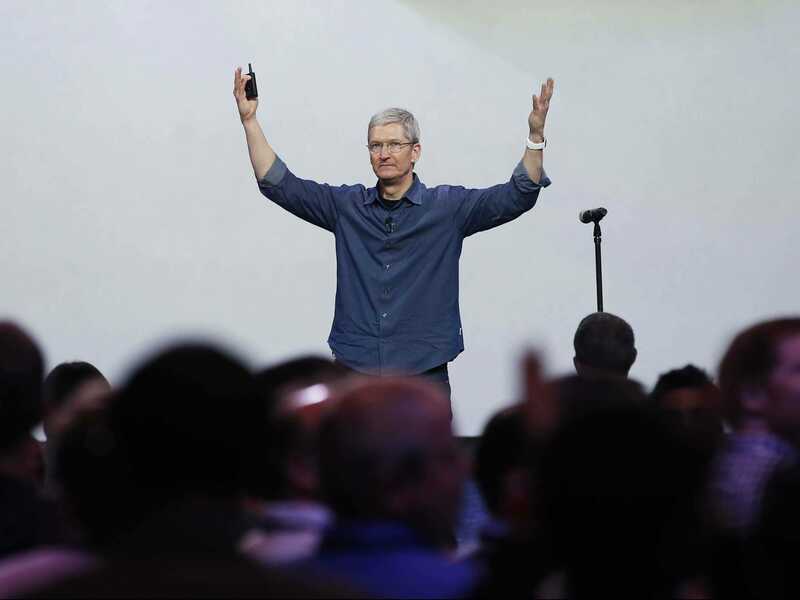 Analysts are predicting Apple bounces back in fiscal 2015 and has its biggest year ever. According to Yahoo Finance, consensus estimates for 2015 is $US7.72 EPS, and in 2016 Wall Street expects EPS of $US8.51. If the company’s share count stays the same, that translates to $US45 billion in net income for 2015 and $US49.9 billion in 2016. Both are impressive, but neither is big enough to get Apple to $US1 trillion using the current P/E valuation. Apple’s spectacular profit growth has been driven by the iPhone. The iPad and Mac will probably drive some profit growth. And the Apple Watch will also kick in some profit growth, but the iPhone is really going to drive Apple’s bottom line. If it’s going to become a $US1 trillion company, it will need an additional $US16-$US20 billion in net income from the iPhone business. Let’s say Apple makes ~$US225 in net profit per iPhone sold based on an average selling price north of $US600 and a 35% margin. Apple would need incremental iPhone sales of 88.8 million units to add $US20 billion in earnings. If Apple maintains its 18 P/E, then sales only need to jump by 71 million units, which would increase earnings by $US16 billion. Growing iPhone sales by 88.8 million units would be tough. Apple sold 169 million iPhones in fiscal 2014, up 13%, or 19 million units from the prior year. Adding 88.8 million units would mean Apple sells 256 million phones annually, or 52% more than iPhones than it sells today. BI IntelligenceThe iPhone business has slowed, which is to be expected. Even bullish analysts aren’t predicting that sort of monstrous explosion in sales. Piper Jaffray analyst Gene Munster is predicting 194.5 million iPhones sold in fiscal 2015 and 199.5 million in fiscal 2016. Both of those are well short of what Apple needs to hit $US1 trillion. Apple only has ~12% of the global smartphone market, so it has plenty of room to grow. But growth is going to be tough for Apple since it sells an expensive phone, and the bulk of the growth in the smartphone market is from low and mid tier devices. But, with a long enough time horizon, it’s not hard to make the case for Apple growing iPhone sales by 52%. 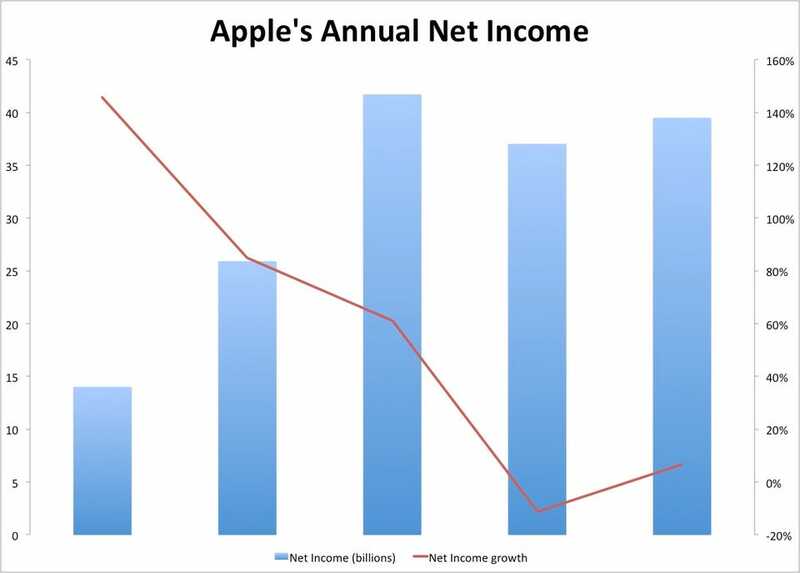 To get to $US1 trillion, Apple needs to earn $US55 billion to $US66 billion in net income, which would be record shattering. To earn this much profit, Apple probably has to sell 70-90 million more iPhones per year, which would be a challenge, but not impossible. How else can Apple get to a $US1 trillion market cap? Apple could take out shares with buybacks, thus bumping the stock further (fewer shares outstanding means more earnings per share). This wouldn’t be easy. Assuming continued modest growth of its profits, it would have buy ~1 billion shares, or 17% of the company, which is worth $US118 billion. Apple has $US155 billion in cash, and throws off ~$US50 billion free cash flow annually, so it could afford to do that. But some might say this isn’t the best use of the company’s cash. What else? 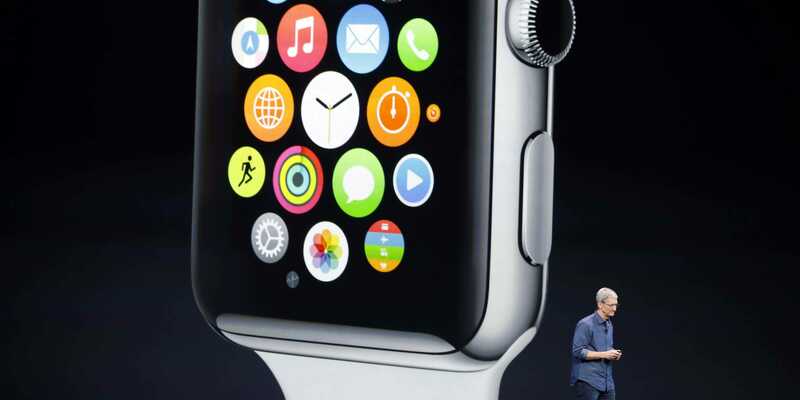 The Apple Watch could turn into a monster cash cow. The iPad could come roaring back. Apple could start selling a TV and make boatloads of cash on its TV. 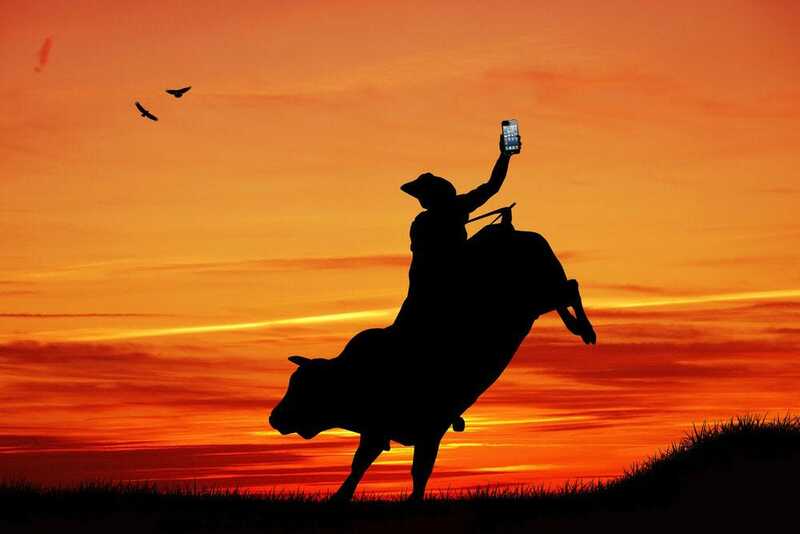 It could enter the internet of things business and generate crazy profits. These all seem unlikely, but you never know. Or, as the kids say these days, ¯\_(ツ)_/¯ . Further, stocks are weird! They can fluctuate up and down with no easy explanation. Investors could suddenly get hot for Apple, and bid up the shares. Or, the Apple Watch could be a dud, and investors will worry the company can’t innovate, and dump shares — even if the company is growing. But, assuming the stock behaves rationally, based on the numbers it’s possible Apple gets to a trillion dollar market cap. It’s just going to take a few years and a lot of iPhones.